The Onion once ran a piece titled “I invented YouTube back in 2010.” The joke, of course, is that YouTube launched in 2005. This month’s Stupid Patent of the Month is just as ridiculous. US Patent No. 8,856,221, titled ‘System and method for storing broadcast content in a cloud-based computing environment,’ claims a mundane process for delivering media content from remote servers. This might have been a somewhat fresh idea in, say the mid-1990s, but the application for this patent was filed in 2011. The patent suggests using “at least one server” that should have “a memory that stores media content and a processor.” The server then communicates with “a consumer device” that can send messages and receive content. Aside from these prosaic details, the patent makes only a half-hearted effort to distinguish its supposed invention from the massive array of cloud-based media services that already existed when it was filed. For example, the description suggests that existing services were inadequate because customers might pay a flat monthly fee yet make few downloads. The patent recommends tailoring customer cost to the content actually downloaded. But even if that was a new idea in 2011 (and it wasn’t), routine pricing practices should not be patentable. 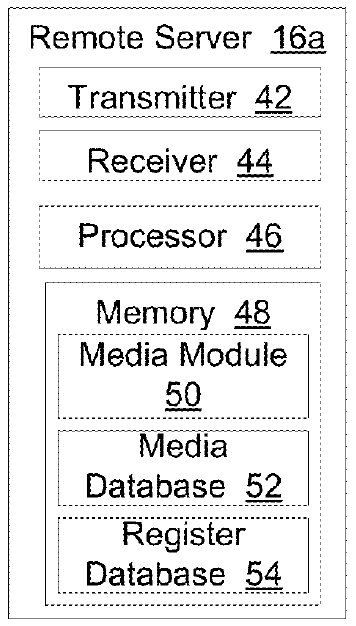 Overall, the ‘221 patent contains little more than rote recitations of long-existing technologies (“[a] list of media content may be provided to the consumer and displayed on consumer device display, e. g., via a website displayed in a web browser”) and pricing models (“[t]he cost amount may be based on factors such as playback time”). The patent’s claims, which describe the formal boundaries of the invention, merely list steps for using this conventional technology. In addition to being obvious, the claims of the ‘221 patent are invalid as abstract under the Supreme Court’s decision in Alice v. CLS Bank. Under that case, an idea does not become eligible for a patent simply by being implemented on a conventional computer. In fact, the ‘221 patent goes out of its way to emphasize that “any kind of computing system” is suited to perform the claimed functions. In our view, it would not survive a challenge under Alice. The ‘221 patent is owned by Rothschild Broadcast Distribution Systems, LLC (“RBDS”). We were unable to find any sign that RBDS engaged in any business other than patent litigation. It is based in, you guessed it, the Eastern District of Texas. Court records show that RBDS has sued about 25 companies, ranging from startups to The Walt Disney Company. The inventor of the ‘221 patent also won the August 2015 Stupid Patent of the Month for a patent on a drink mixer connected to the Internet. That patent, which had claims so broad it arguably covered the entire Internet of Things, is owned by a company called Rothschild Connected Devices Innovations, LLC (“RCDI”). After one of defendants went to the expense of challenging the validity of the drink mixer patent, RCDI dismissed the case without collecting a cent. This is classic troll behavior, forcing defendants to choose between paying the high cost of defense or a license fee that the patent owner does not deserve. We believe that RBDS’s litigation similarly has only nuisance value. We need broad patent reform (including venue reform) to stop this wasteful patent trolling. We also need reform at the Patent Office so that it doesn’t issue terrible patents like this in the first place. Contact your Senators and tell them to pass patent reform. Republished from the EFF’s Stupid Patent of the Month series. The new domain transfer policy goes into effect today. Here’s what you need to know.